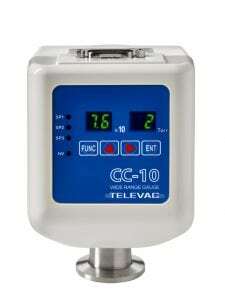 The Televac CC-10 Active Wide Range Gauge utilizes dual-sensor technology to replace multiple conventional vacuum gauges, permitting seamless measurement of twelve decades of pressure. 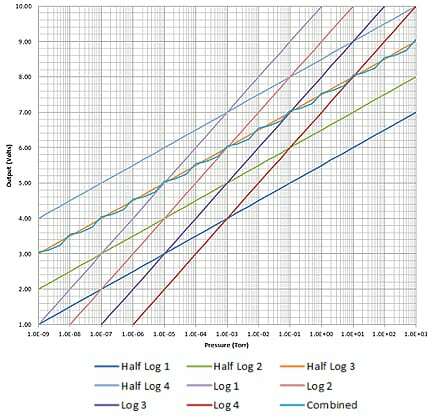 It has a variety of features including a wide range of measurement from 1 × 10-9 Torr up to 990 Torr, RS-485 communications, three programmable set points, and a selectable analog output. The bright LED display makes it easy to read from a distance. Options can be set from either four touch controls located on the front of the unit or through RS-485 communications. The simplicity of use and wide measurement range make this unit an excellent choice for a variety of vacuum applications. 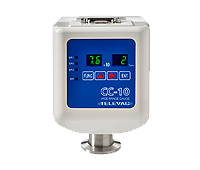 MM200 Vacuum Sensor Controller – The MM200 controls any Televac vacuum sensor including cold cathode, convection, diaphragm, hot ion, and thermocouple sensors. It also has optional features including up to 8 relay set points and RS-232/RS-485 communications. The large, bright LED display makes it easy to read from a distance. The MM200 is a modular unit, allowing customers to choose a vacuum sensing solution specific to their needs.